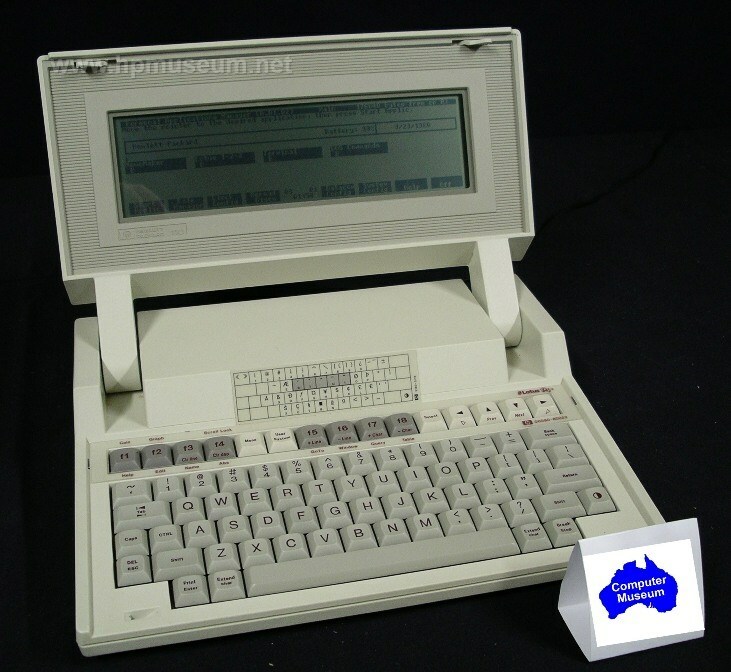 The Portable (model 110, "Nomad") was a lightweight, reliable, battery-powered PC with built-in software and a 16-line, 80-character LCD. 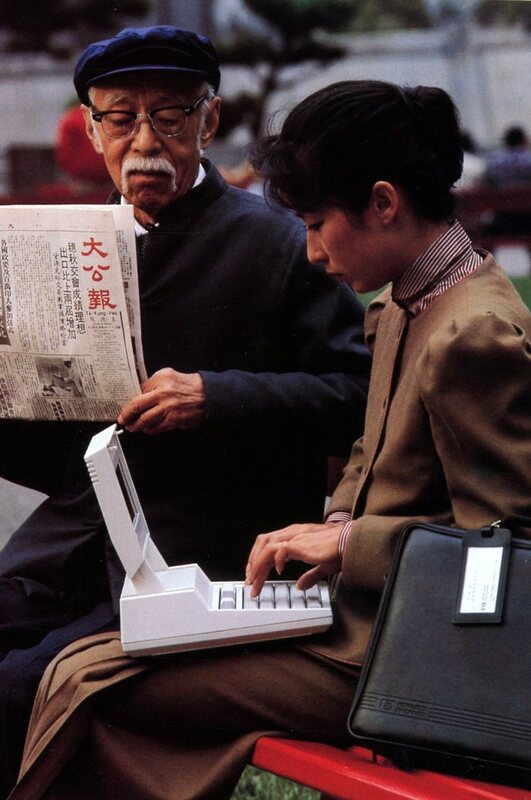 With its built-in 300-baud modem, the Portable was an excellent remote computer for mobile workers. The Portable contained the operating system (MS-DOS) and application software in ROM. This provided for almost immediate boot up and access to programs (Much faster than today's Windows PCs). The difficult challenge for HP was to provide a ROM version for all software that users might want. 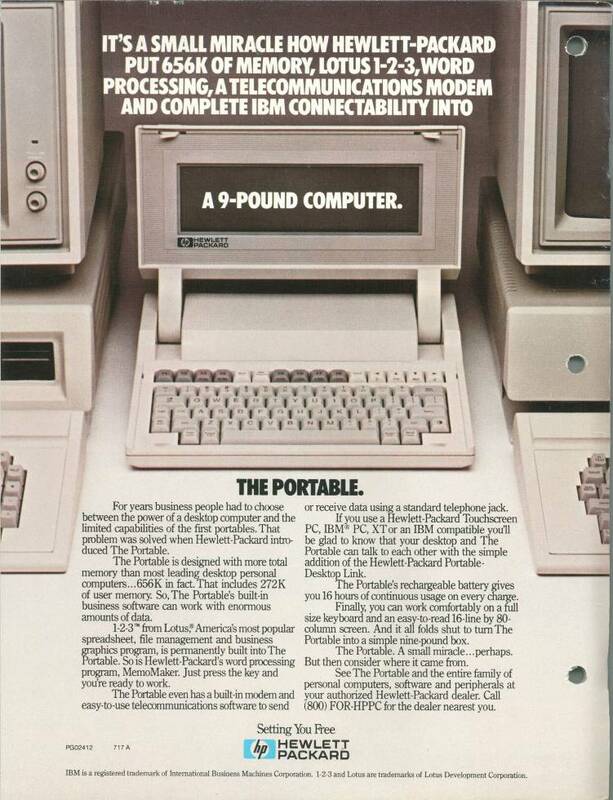 The Portable was powered by the Intel 80C86 CPU and offered excellent performance compared to other portable and even desktop machines. The biggest problem was that it did not have a built-in flexible disc drive. HP offered an external, battery-powered flexible disc drive (the 9114) to go with the Portable; but this was considered too cumbersome by users. Users had no easy way of accessing the software they wanted, unless it was available in ROM from HP. Click here to hear a 60 second clip from the Portable's original audio introduction tape in 1984 (600 KB). 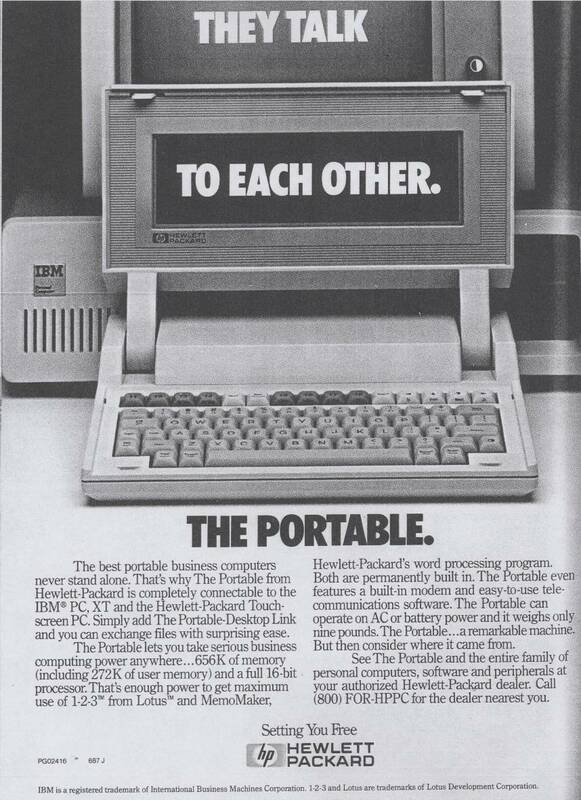 Click here to see the HP Portable in an article about portable computing on the Silicon Valley TV program "Computer Chronicles" in 1985. (23 seconds, 1.2 MB). Both the Portable and Portable Plus are very reliable. All eight units held at the museum work fine. The problem with these machines is that their rechargeable batteries die. These computers can still be operated off AC power even with flat batteries. The battery pack for these computers consists of three D-size sealed lead acid (SLA) batteries with a total voltage of six volts. In 2013, a complete replacement pack was available from Fedco Electronics Inc for $US44. The part number is 0810-0102HP at www.fedcoelectronics.com.